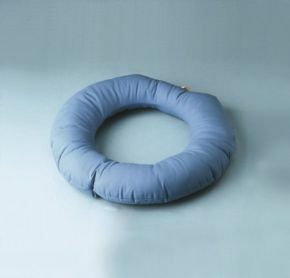 This commode ring is a donut-shaped cushion that can be used on most commode or toilet seats to add comfort, prevent pressure sores or assist with their healing. Unlike some commode rings, this one is warm to the touch and won't feel chilly when you sit down. It has a soft flame retardant filling. Sometimes the simplest solutions are the best!